When you consider the simple fact that most babies go through more than 3,000 diapers each year for the first two years of life, it should be a cinch that you would want to cut back on cost and help save our environment at the same time. Just think of all the space 6,000 diapers takes up in a landfill not decomposing. That is just the average for one child and only if they are potty-trained in 2 years! Then you must consider wipes! That said, here are some really eco-fantastic ideas for creating your own reusable cloth diapers and baby diaper wipes at home. Since you are reading this article, you are at least curious about using reusable cloth baby products at home, right? So then, why not make them too! - Think of all the great patterns you can find at your local fabric store for making your baby a fashion statement. - Consider using a new, cool patterned fabric for the outside of the organic cloth diapers and reuse basic comfy fabric - preferably, organic cotton for the inside lining of the reusable cloth diaper. - If you need a plastic cover for your baby diaper needs, reuse shower curtain liners to create them. - Patterns are simple and easy to find all over the Internet. - Hemp cloth diapers are great and comfy, not to mention ala natural and very eco-friendly. - Organic cotton cloth diaper Velcro (forget those sharp, dangerous pins) is simple to find and reusable. When it comes to baby wipes, just imagine how much more eco-friendly you can be by simply making your own organic diaper wipes. After all, store-bought disposable wipes oftentimes contain chemicals that your baby and skin just do not like even if they are sensitive skin baby wipes. If you make your own organic diaper wipes at home, you are in charge of exactly what chemicals go on your little bundle their skin. - Look for green, eco-friendly fabrics such as fleece, velour, hemp-fleece. - Thicker fabric will come in handy, consider one layer better when washing and reusing. - You can find great organic wipe solutions that are simple to make at several reputable Internet sites. - Many solutions simply contain distilled water, olive oil, and baby shampoo or wash. 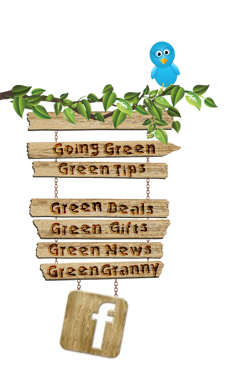 Many households do not realize just how easy it can be to go green â€“ or at least take a simple step towards going greener. Because these reusable cloth diapers are so easily made, it is a quick step towards getting our environment back to a healthier state, and you get to save a bunch of money. Making reusable organic cotton diapers and organic diaper wipes at home will not take anymore time than driving to the store (using gas in your car) to buy them. Think of it this way - You will have to go to the fabric store just once to get your supplies if you buy enough fabric. Compare that to the dozens and dozens of times you have said honey can you please run up to the store, we ran out of diapers and wipes and non organic cotton diapers and wipes at that! Here at savewithgreen.com, we recommend checking out patterns and wipe formulas at sites like Diaper Jungle. This site has amazingly simple recipes to make it so much easier for the cloth diaper household.